Leighton House is one of the most opulent museums in London, and its small scale makes it easy enough to explore thoroughly in an afternoon. Located on the edge of Holland Park, this opulent 19th-century home of Lord Leighton is decorated with domed ceilings, fountains, and plenty of marble. Golden mosaics, gilded walls, elaborate paintwork, domed ceilings, trickling fountains, cool marble and peacock blue tiles make Leighton House worth a visit. 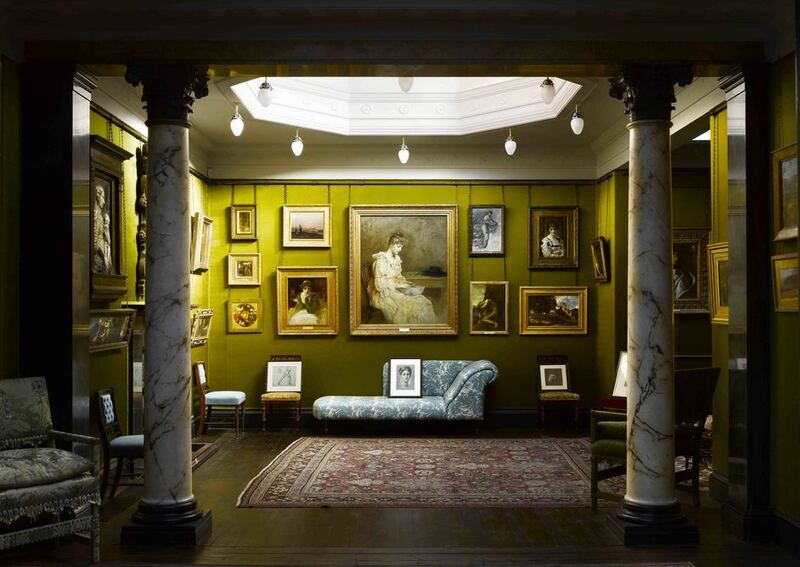 Built between 1864 and 1879 on the edge of Holland Park, the home of classical artist Lord Leighton also became home to his extensive collection of Victorian paintings, including works by his contemporaries John Everett Millais, Edward Burne-Jones and George Frederick Watts. On the first floor is Leighton's studio with its great north window, dome and apse. One of the most stunning features of the house is the Arab Hall which forms the centrepiece to the house. Tiled with over 1,000 vibrant, peacock blue tiles from Iran and Syria by the ceramic artist William De Morgan, these provide an opulent theme that is carried out throughout the house. A £1.6 million refurbishment and restoration programme was completed in 2010. Oriental opulence, Victorian art and architecture. What are the best dining options near Leighton House Museum London? Leighton House Museum gyms, sporting activities, health & beauty and fitness. The best pubs near London Leighton House Museum. Leighton House Museum clubs, bars, cabaret nights, casinos and interesting nightlife. Where to have your meeting, conference, exhibition, private dining or training course near Leighton House Museum. From cheap budget hotels to luxury 5 star suites see our special offers for Leighton House Museum hotels, including Hilton London Olympia Hotel from 89% off.